Favorite tangle: Paradox. Pairing multiple ones together makes for great patterns as they blend together. Favorite place to tangle: Work. When I find downtime, I use the Zentangle method to help relieve stress. How I use the Zentangle Method in my life: Zentangle is a huge stress reducer for me. The art that comes out of it seems to be a great bi-product of this, but the soothing relaxation is the best part of the whole experience for me. I work in a very high stress environment, in a jail, and tangling has better equipped me to deal with the daily issues that I face. My favorite story or memory about teaching the Zentangle Method is: There have been so many through the last few years, but each time I teach, new memories are made. In the jail, where I primarily teach the Zentangle method, there are lots of different populations of inmates that I teach the Zentangle method to. By far the best memories are from the inmates who are here with mental disorders. 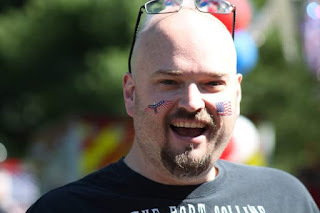 These are people that are having some of their worst moments in life, may never have had positive memories of their own, and sometimes see nothing but dread in their future. The Zentangle Method brings so much to these inmates, in that they can find the peace that tangling can bring them, they find self worth, and that by producing some artwork they find that they can bring something positive into the world where so much negativity surrounds them. One particular inmate was known as a mean spirited downer of a human. He mumbled to himself, and to the voices in his head, often cussing and ranting. He would be negative to those around him, and rarely smiled. He came to my Zentangle class a few years ago, and started drawing. The next time I saw him, he ran back to his cell and brought out what was about 15 pages of drawings. He proceeded to show me each and every one of them. Throughout this display, he didn't stop smiling. He was proud of himself in that he had made something, for he had found some semblance of self worth in just a pencil and paper, and he was so happy to be able to share this with me. It is the moments like that day, the smiles, the realization that they can do things in life that are wonderful, that make me happy to teach the method to any I can, especially to a population that needs that so. I wish I could show you all some of the amazing artwork the inmates have done in class and beyond. Many put my artwork to shame. Sadly there are legal and other issues due to sharing some work of incarcerated individuals. Through my experiences as a CZT, I have learned: By producing art, you become an artist. This is something that I end every class with. I never did artwork nor drew before I learned the Zentangle method myself. I didn't think I could create art. I felt the same way many of my students feel, and I want them to know that just like me, they too can find that they are an artist. 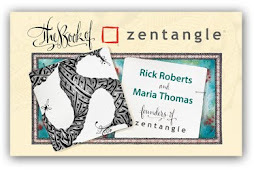 Thank you Rick, Maria, and all the Zentangle family for bringing Zentangle into my life. Through tangling, I have been able to reach others by using the Zentangle method, and it has been an overwhelming positive success in all of our lives. Thank you Jan Latona CZT who first showed me the method, and inspired me so much. If you haven't gone to the CZT seminars, go! They are fun and you can learn so much, but it's the people you meet that are the best part of the experience. 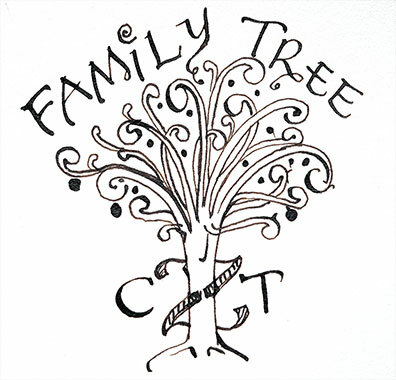 Thank you Clint for your wonderful inspiring Zentangle story, I am very impressed by your story and I wish you succes for the future, at work and in your personal life! Thank you Clint for such an inspiring story! I too have worked with the incarcerated, and currently work with people living with ongoing mental illness. 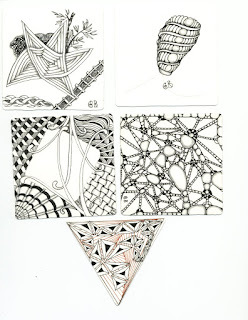 I have been thinking that Zentangle could be a tremendous coping skill, and group activity for that population. It could also be a great staff team-building exercise.